Hey Journalistopians, just a quick heads up that the Journalistopia Crime Map Directory has been updated with a slew of new crime maps. A lot more folks are getting into the crime map act, including news organizations, neighborhood associations and lone wolf developers (as usual, the list only includes non-police groups). 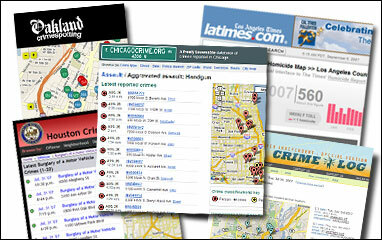 If you’re developing a crime map or thinking of developing one, you’ll want to explore this list for plenty of dos and don’ts. One Response to "List of crime maps is updated"